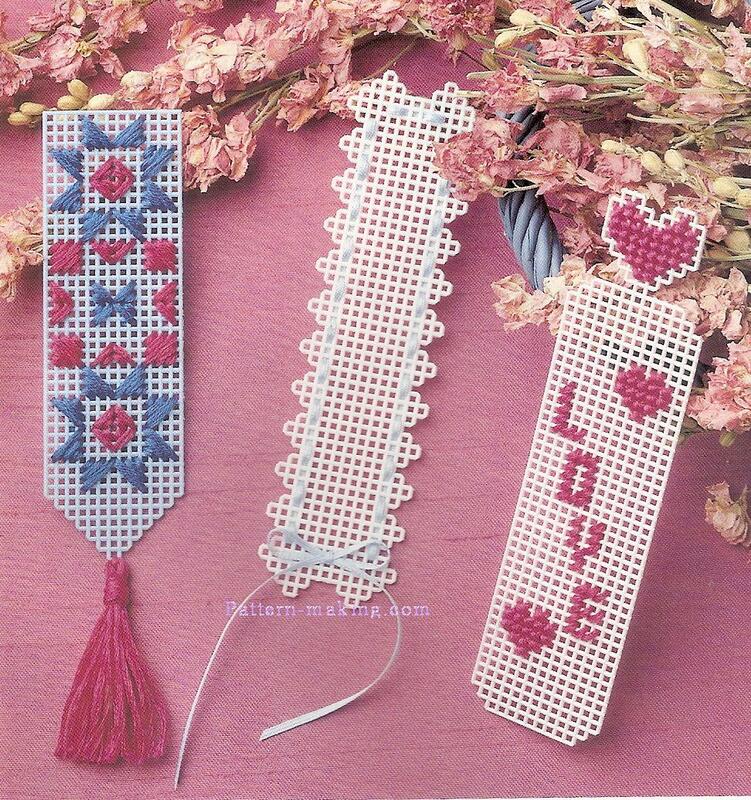 Simple designs stitched on colored canvas make these bookmarks ideal projects for beginners. Created on 10 mesh canvas using embroidery floss or satin ribbon, the pretty markers are thoughtful “thank you”gifts for anyone – for any reason! Approx Size: l-3/8″w x 5″h each Supplies: Six-strand embroidery floss (refer to color key), one 10-1/2″ x 13-1/2″ sheet of colored 10 mesh plastic, #20 tapestry needle, 1 yd of 1/16″W ribbon, and clear-drying craft glue Stitches Used: Cross Stitch,’ Gobelin Stitch, Scotch Stitch, and Tent Stitch Instructions: For Love Bookmark, follow chart and use required stitches to work bookmark. 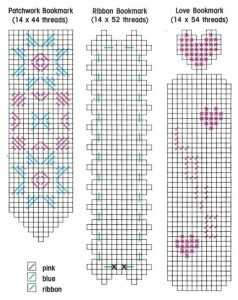 For Patchwork Bookmark, follow chart and use required stitches to work bookmark. Follow How to Make a Tassel, page 30, to make one pink tassel. Refer to photo and use pink to tie tassel to bookmark. 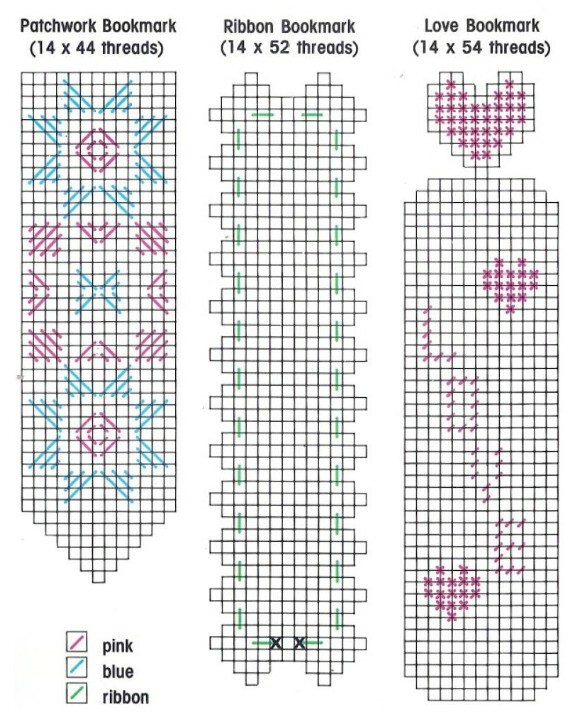 For Ribbon Bookmark, follow chart and use required stitches to work bookmark. Thread 12” of ribbon through canvas at x’s. Tie ribbon in a bow and trim ends.